We appreciate your patience and want to extend a huge, heartfelt THANK YOU shout out to all who entered. We were blown away by your enthusiasm and creativity! Now let's talk the 4 NEW Happy Planner™ Box Kits! A lot of you have been messaging us with questions about this exciting release, and we will try to answer them here. These box kits were planned as a promotional product for the 4th quarter (great for gifts) so the release of them is a little bit different than other products from The Happy Planner™ line so far. We have a limited quantity in the mambi SHOP and - with the exception of the black & white 12 month planner kit - when those limited quantities are gone, we will not be restocking. Hobby Lobby will be carrying the black & white planner kit only, setting 9/22 in stores, but it will be inline and will be reordered, and is not a promo set for them. Michael's will carry all 4 box kits beginning 10/31 in select stores. However, these ARE a promo set and they will not be reordering, so once they're gone, they're gone. We hope this info helps in regards to these new box kits. Any other questions or comments about them, please leave them below, and we will promptly respond. Some other fun news is me & my BIG ideas is NOW on Periscope! If you've already followed us over there, you might have caught the Periscope mambi owner Stephanie Fleming did last week about the above new box kits where she flipped through them and talked about the release date. Basically, on Periscope is where we'll share FIRST, before it's announced on other social media platforms. Think of it as the VIP club that gets first dibs on new product information, behind the scenes footage, plan with me vids, tips and tricks, and extra engagement with the mambi team! Other than that, you can always get daily updates & inspiration on our Facebook page HERE, our mambi Instagram HERE @meandmybigideas, and our Instagram for The Happy Planner™ HERE @ the_happy_planner. For added love, you could follow us on twitter and Pinterest too! 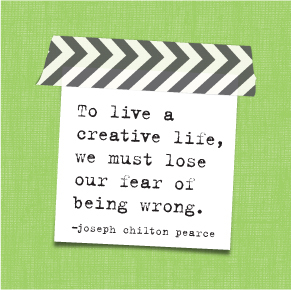 Live creatively today & always!